My good friend posted this a while ago. 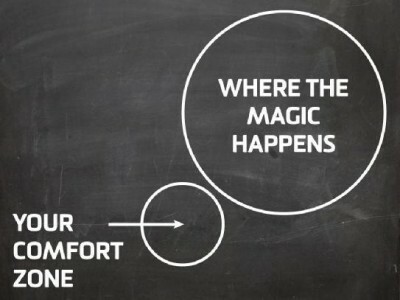 Something to think about……take me to the magic! This is a hard post to write….. I had 27 years with my Dad before he died in the intensive care unit in Hull Royal Infirmary the day before his 56th birthday. I wasn’t always the easiest daughter and he wasn’t always the easiest father but we had a really great relationship and I loved him. We shared a lot of common interests, the outdoors, nature, animals, learning and then later, the pub. As a child he used to call my ivy as I would always cling to him. I enjoyed long walks with the dog just the two of us. He would tell me all sorts of stories. I remember one walk where he told me about the universe. Looking back – I have no idea how he knew so much about it. He could have made it all up, except that I remember it and now know it to be true. My parents introduced me to the love of travel from a young age with road trips to Europe. There were lots of camping trips on the North Yorkshire moors with friends. As I grew up it was Dad that always had to have the difficult conversations with me. It was Dad that I would share a beer with in the Goodmanham arms. My parents brought me up to be independent and ambitious. Dad always believed in my crazy ideas so I know he would be right behind me with the Marathon des Sables! On the 3rd January 2008 Dad called me to say he was being taken to hospital. He had driven himself to the local hospital for a chest x-ray as he was having difficult in breathing. They found a collapsed lung and transferred him to another hospital for treatment. There was no cause for the collapsed lung – this can just happen. He needed routine surgery to fix the problem. A few days after the operation his health deteriorated. It turned out he had a very rare allergic reaction to the surgery which resulted in him being moved to intensive care. The condition was ARDS – Adult Respiratory Distress Syndrome. This condition makes the lungs very stiff meaning that breathing for himself was not possible. After weeks in intensive care with a ventilator to help him breathe Dad’s condition continued to deteriorate and he died. It was an impossible time for my brother and I, but we did our best with the support of loving family and friends. It is now over six years on and I feel ready to raise money in his memory. Please support me in this crazy adventure which I hope will raise lots of money for ARDS research by the Intensive care Foundation.